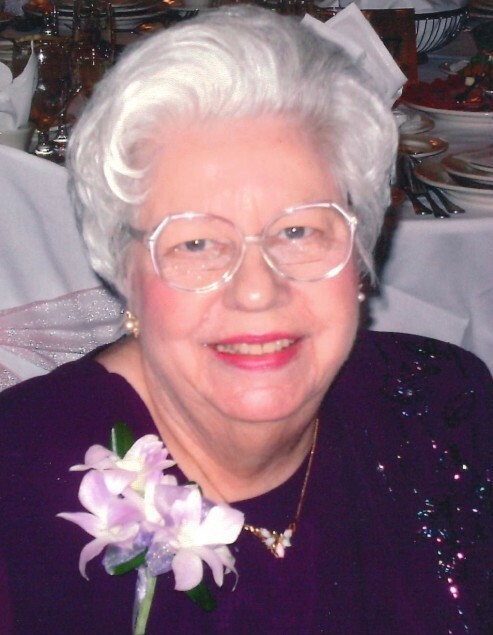 Ruth Yvonne Stanbury, age 92, a longtime resident of Livonia, Michigan, passed away on Friday, January 18, 2019. Ruth was born in Detroit, Michigan on January 10, 1927 to Dwight and Emily Ainslie. She graduated from Redford High School and attended Highland Park Junior College. Ruth was married to Harold B. Stanbury, Jr for 49 years. She is survived by her children David (Carol), Kathleen McCamman (Dan), John, Kenneth (Karrie) and Carol Engle (Alan). She is also survived by many grandchildren, great grandchildren, nieces and nephews. Ruth is preceded in death by her husband, Harold B. Stanbury, Jr, her brothers Robert Ainslie and James Ainslie, and her son, Thomas Stanbury. Visitation for Ruth will be held Tuesday, January 22, 2019 from 4:00 - 7:00 pm at Manns Family Funeral Home, 17000 Middlebelt, Livonia 48154. Ruth will be In-State for final viewing on Wednesday, January 23, 2019 from 10:00 am until the time of the Funeral Service at 11:00 am at St. Paul's Presbyterian Church, 27475 Five Mile, Livonia 48154.